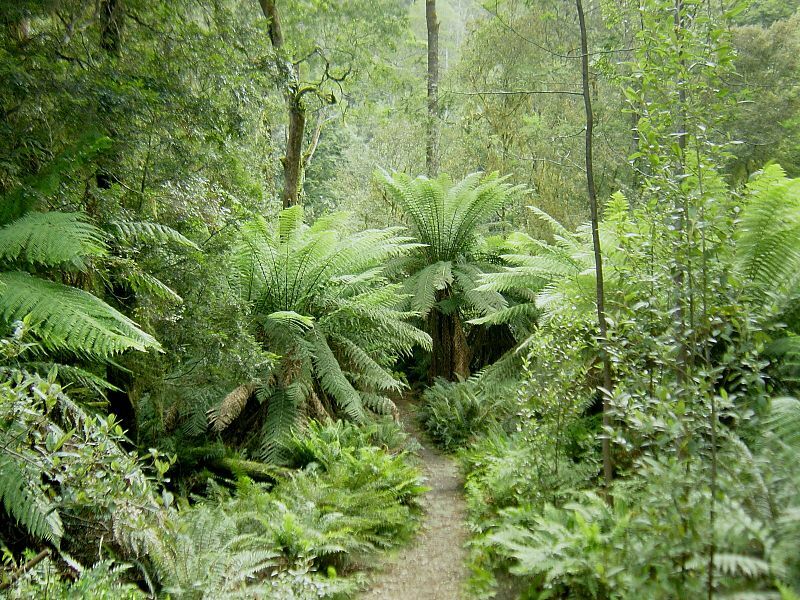 Tasmania, Australia’s smallest and only island state is an adventurer’s paradise. Dramatic mountains, sweeping coastal plains, dense forest and pristine beaches are never far from reach. 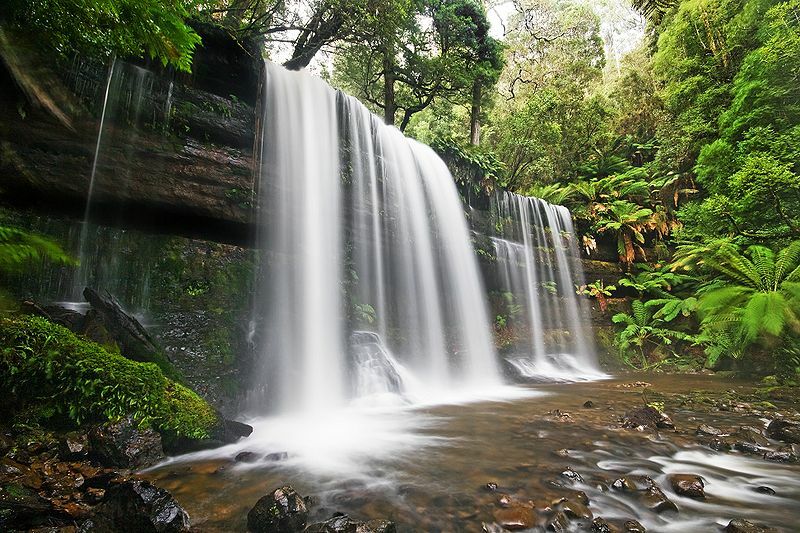 More than 30 percent of Tasmania is protected wilderness. Combine this with the food and wine, and colonial history which the island is famous for, and you have very compact and diverse holiday experience. Your discovery of Tasmania should be measured less by distance and more by time; by experiences immensely varied, yet always close at hand. 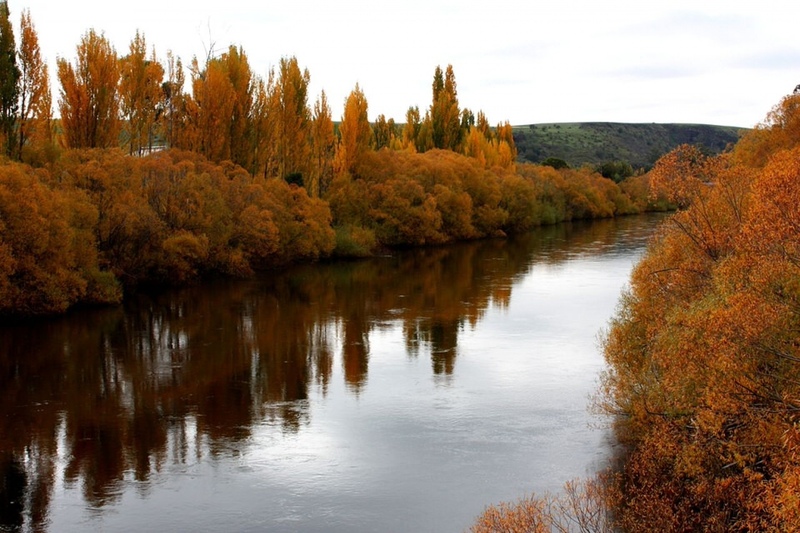 With less than one per cent of the land surface of Australia and nowhere more than 115 kilometers from the sea, Tasmania’s varied landscape is unrestrained by size. The south-western corner is untamed and unyielding; the north-west, fertile and cultivated and despite a moody reputation, the west coast has its peaceful moments. To cruise its waters on clear, still days or walk in the vibrant under story of its primeval rain-forests is to glimpse the depth and magic of the natural world. Towards the center, the sharp ridges of Tasmania’s western ranges recede to form the “Land of a Thousand Lakes” – a Mecca for anglers from throughout the world. And then the central plateau falls away to valleys, plains and country villages in quiet repose. These are Tasmania’s midlands, legacy of a British colonial heritage and a green-belt stretching from north to south. Unchanged since early settlement, sandstone cottages and grand country homes nudge the verge of the Heritage Highway inviting you to spend the night, to while away the hours and sample the pleasures of simpler days. The east coast is swathed by white beaches, secluded, sheltered bays and spectacular headlands. It is Tasmania’s sun coast, edged by crystal blue waters and clusters of holiday homes that have tied generations of families to annual bouts of rest and recreation. And the east coast beckons you to explore beyond the shore and beneath the sea to giant kelp forests and caves, or even further to the continental shelf, where the big game fish run. Come to Tasmania and inhale the evocative atmosphere of its historic richness, unique heritage and outstanding wilderness. An Island of just 24, 000 square miles, it has some of the most beautiful National Parks and World Heritage areas in the World. Fall in love with the clean waterways, majestic mountains, rugged wilderness and the unique fauna and flora that are part of Tasmania’s unique identity. Glide along the crystal clear, still waters of the famous Gordon River to the unyielding South West Heritage Area. See beautiful Wineglass Bat and the pink granite monoliths of Freycinet National Park. Discover the tranquil and rejuvenating splendor of Cradle Mountain – Lake St Clair National Park, internationally renowned for the beauty of its many lakes and mountain peaks, perhaps the jewel in Tasmania’s National Parks Crown. Visit captivating historic sites like the haunting former penal settlements of Port Arthur and Sarah Island. Walk in the footsteps of the early settlers in the modern metropolis of Hobart where pebbled streets and quaint colonial cottages remain as living history of its early days. See Sheffield where spectacular murals portray the district’s pioneering background; and take a glimpse into the past at some of the country’s most magnificent homesteads. Hobart typifies Tasmania’s laid back island lifestyle – steeped in history, close to wilderness and offering the indulgence of fine food and wine. Set on a beautiful river estuary, few places rival Australia’s second oldest city, with white beaches on its outskirts and historic buildings at its heart. Strahan, on Tasmania’s rugged west coast, is the gateway to one of the most spectacular wilderness areas on earth. In a world of majestic mountains, impenetrable rain forest and famous wild rivers, visitors can cruise the pristine Gordon River or take a scenic flight over the ancient rain forest canopy. 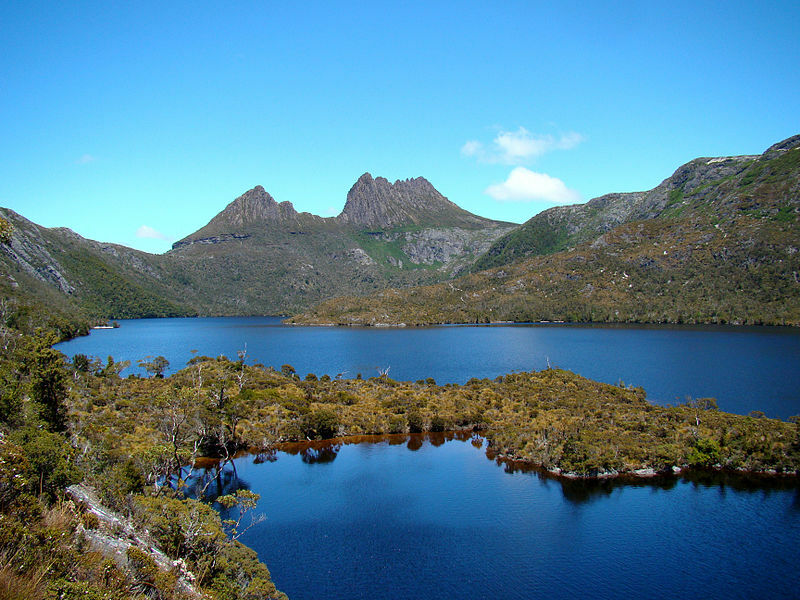 Cradle Mountain and its reflection in Dove Lake have become a symbol of Tasmania’s natural beauty. A hiker’s dream, Cradle Mountain with its glacial lakes and alpine moorland, offers experiences of natural beauty and wildlife at all levels. You’ll remember Freycinet National Park, an intensely beautiful coastal region sliced with deserted white sandy beaches, startlingly blue water and the striking pink granite mountains. Take the walk to its best-known beach, Wineglass Bay. From the eerie ruins of the convict settlement at Port Arthur, once the most feared of all convict stations, to remarkably intact colonial towns like Richmond, you will be impressed by Tasmania’s rich colonial heritage. Hobart is an enchanting city of colonial architecture, no pollution, and no traffic problems. It is Australia’s second oldest capital city after Sydney, situated on the Derwent River estuary and built around a beautiful harbor in the shadow of majestic Mount Wellington. Temperatures in winter will drop to a crisp cool 5 C however the rest of the year Hobart gets plenty of days with sparkling blue skies but temperatures rarely exceed 25 C.
The harbor is still Hobart’s lifeblood and the port is always busy especially in Autumn when the states annual apple crop is loaded for export around the world. Hobart has a wealth of beautiful Georgian buildings and more than ninety of them have National Trust classification. Battery Point, the former Maritime village dates back to the early days of Hobart town and miraculously has hardly changed since those days. Shoppers are well catered for with open air markets , malls and boutiques. Sporting enthusiasts are well catered for with sailing being the most popular sport with the annual and most famous being the Sydney to Hobart Yacht race on New Years Day. Hobart offers a sophisticated night life with the Wrest Point Casino cabaret and revolving restaurant and a wide range of restaurants. Fresh seafood is a specialty of many of the city’s restaurants. Hobart is within easy reach of a marvelous range of tourist attractions and there are dozens of scenic drives and lookouts offering equally spectacular views.